With persistent drought affecting many areas in the Western and Southern United States, golf course superintendents are understandably growing concerned about water quantity. Will prolonged drought conditions result in water use restrictions? What happens when the well goes dry? 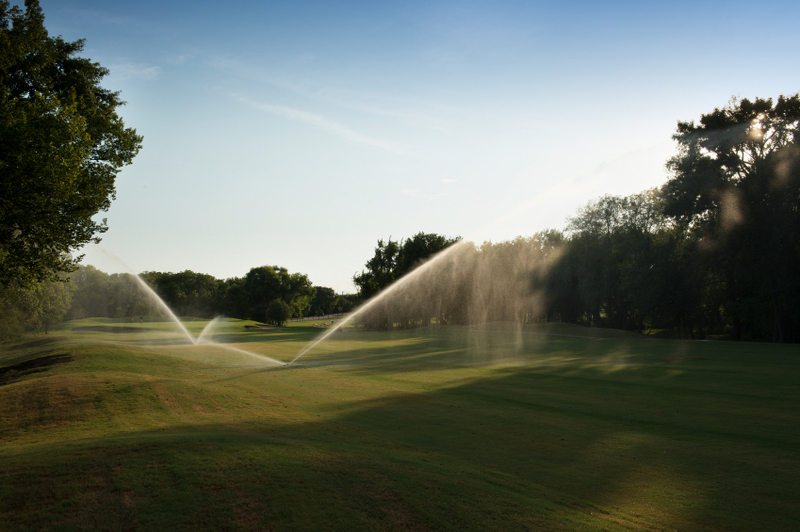 While the use of wetting agents and soil surfactants can help to stretch shrinking water supplies, the story does not end there. With an increasing reliance on recycled or effluent water, there should be equal concern over water quality. Everything that is in your water will eventually make its way into your soil, potentially affecting the growth, appearance and health of your turf. 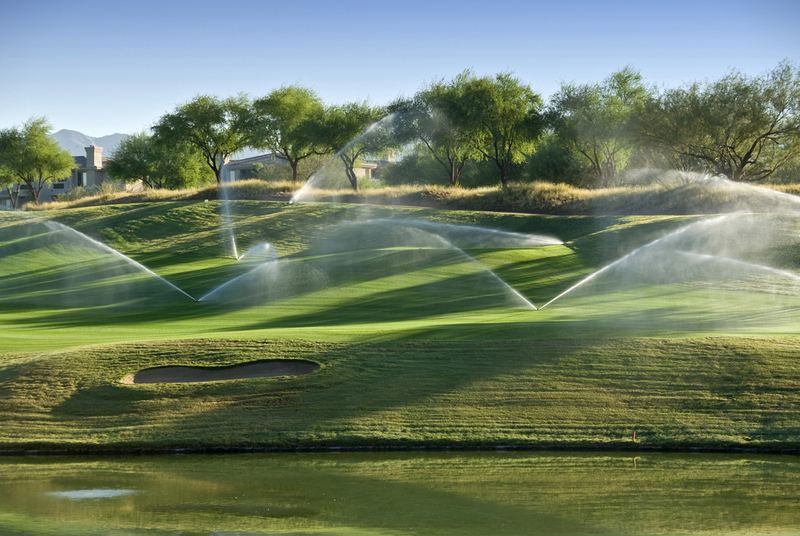 The only way to determine if your irrigation water is suitable for use on turfgrass is to have the water tested. The same goes for assessing potential salinity or sodium problems in your soils – you must test the soil to properly diagnose any problems. However, there are literally dozens of tests that laboratories can run on water and soil samples. It should be noted that not all laboratories run the same tests or use the same interpretations. Be aware that some tests may not be appropriate or relevant for your climate or soil conditions. Before you begin any testing program, you need to determine the most appropriate tests for your course and identify a laboratory that can perform those tests for you. Initial testing will determine the status of your irrigation water and soils, providing a baseline for making management recommendations and tracking improvements. Continued periodic testing will show how well your management practices are working and if changes to the initial recommendations need to be made. If you have concerns about your soil or water quality, it is imperative to have samples of each water source and soil type tested by a reputable lab. 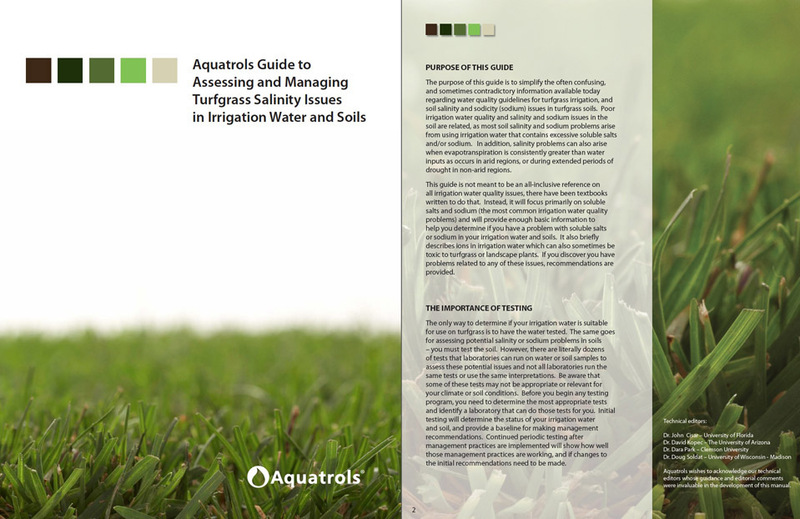 Once the tests have been performed, download Aquatrols free Guide to Assessing and Managing Turfgrass Salinity Issues to understand your results and what they mean for your course.